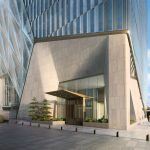 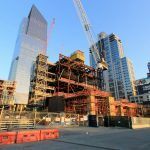 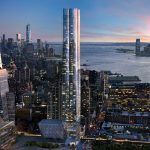 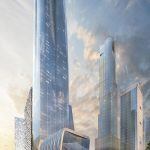 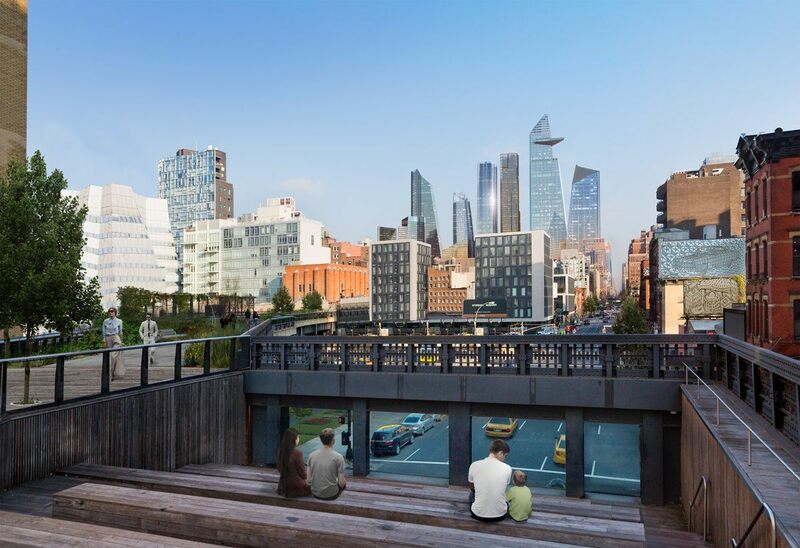 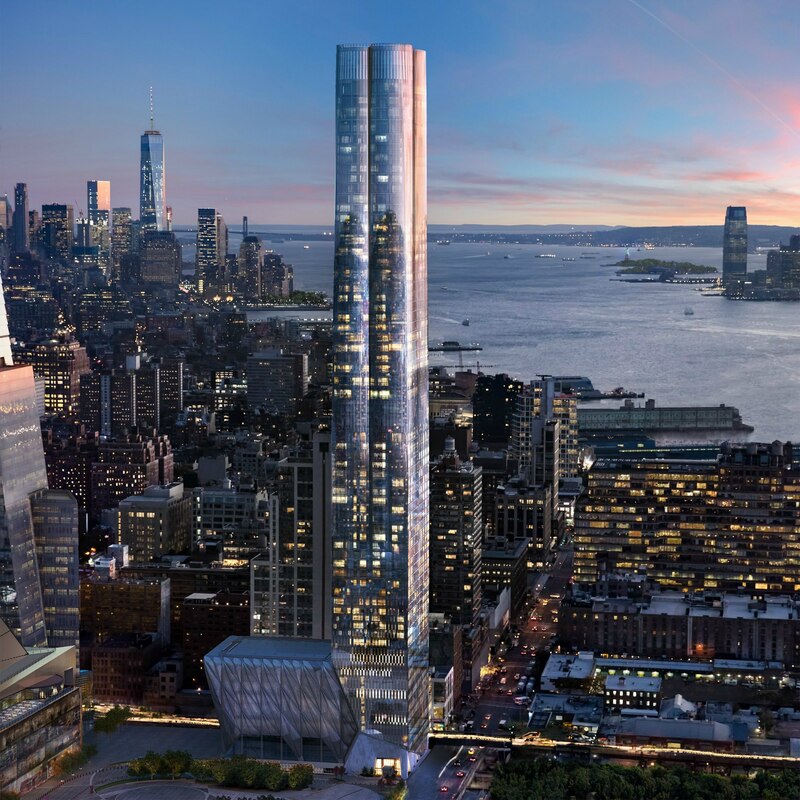 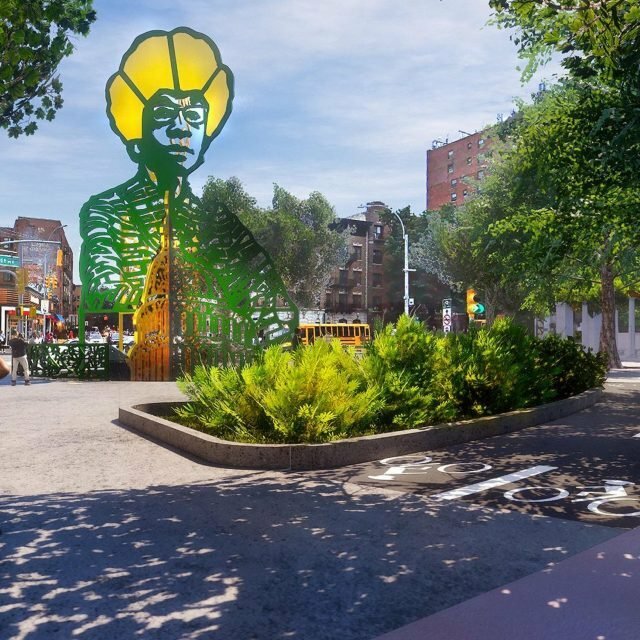 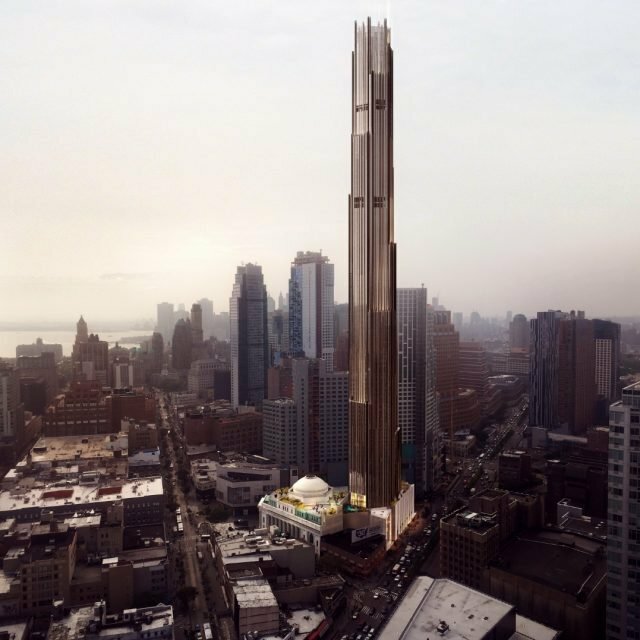 Situated alongside the High Line, at the northeast corner of West 30th Street and Eleventh Avenue, the tower will be constructed of curving, cold-bent glass and will morph into a “quatre leaf” at the top. 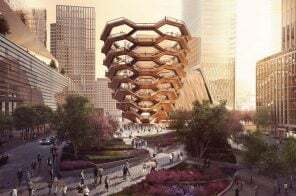 The new renderings show that 30 Hudson Yards, the 1,000-foot second residential tower from Kohn Pedersen Fox, will echo this design in its rooftop, too. 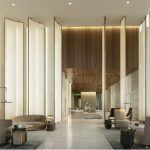 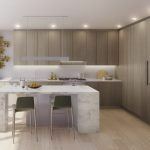 The Plaza Residences range from one- to three-bedrooms, with floor-to-ceiling windows framing animated views of the High Line, the Public Square and Gardens and majestic design piece by Heatherwick Studio. 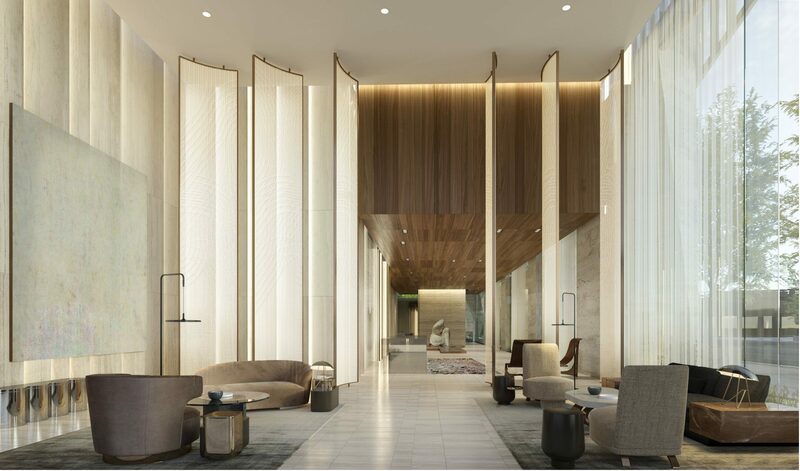 The two-bedroom Loft Residences offer 10’10” ceilings, expansive living spaces and massive master suites. 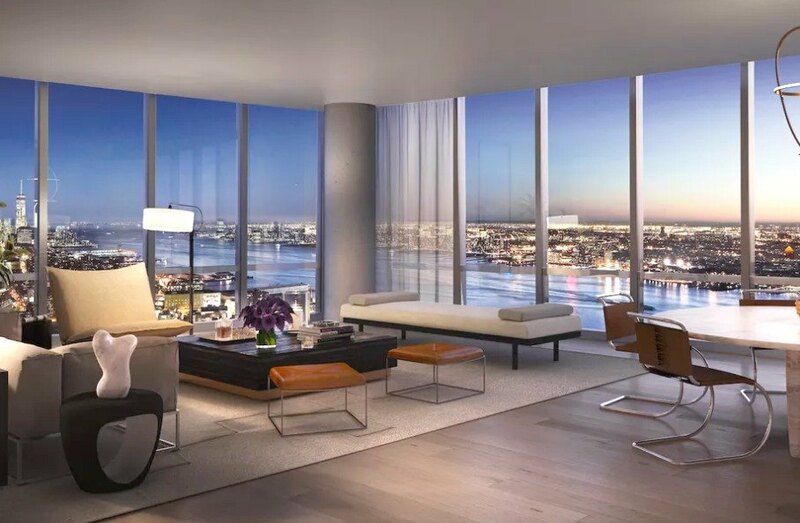 The Panorama Residences range from one- to four-bedrooms with soaring ceilings and some of the most breathtaking views of the Hudson River, from the Statue of Liberty to the World Trade Center and beyond. 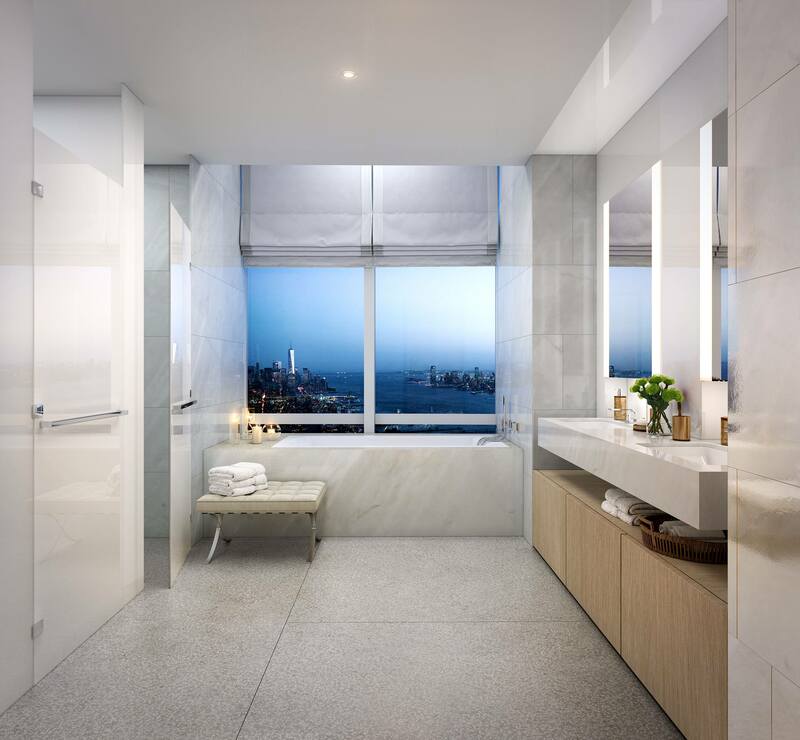 The three- and four-bedroom Penthouses are remarkably private with only four residences per floor; and the Duplex Upper Penthouses on the 88th floor each occupy one of the tower’s four lobes with more than 5,000 square feet of living space, curving floor-to-ceiling windows yielding 270-degree panoramic river and city views and living rooms with double-height ceilings up to 26 feet. 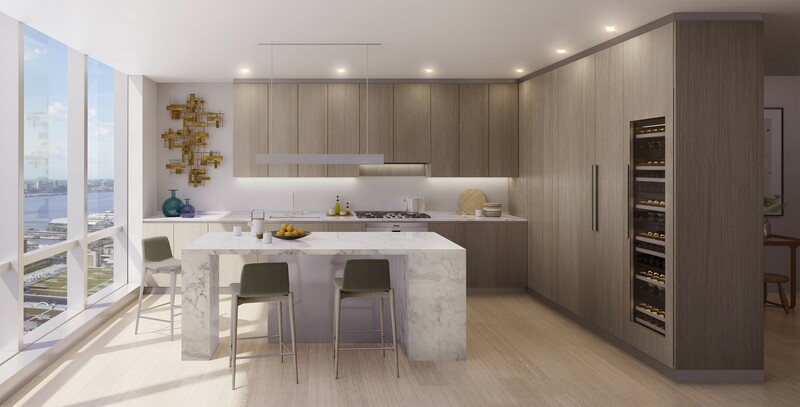 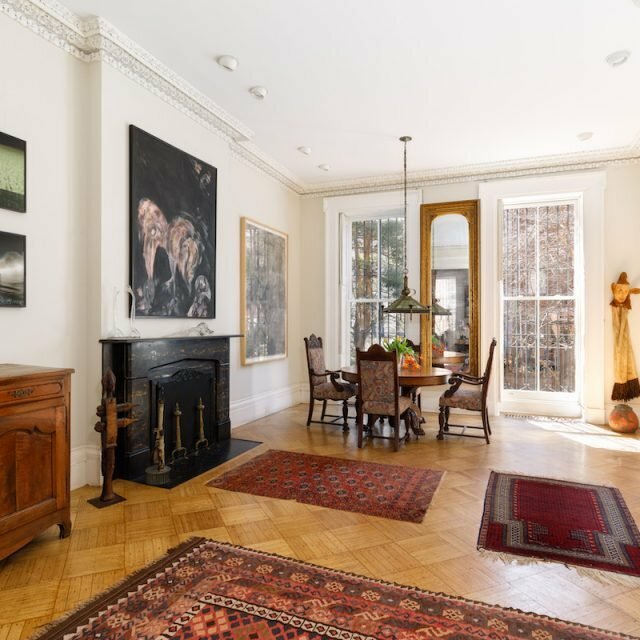 Buyers can choose from two different interior design schemes–the “elegant and bright” tonal scheme and the “rich, striking” contrast scheme. 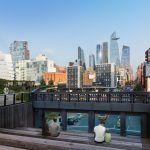 The new set of renderings also shows how the base will appear next to the Shed, the $360 million, 170,000-square-foot visual and performing arts institution also designed by Diller Scofidio + Renfro in collaboration with Rockwell Group. 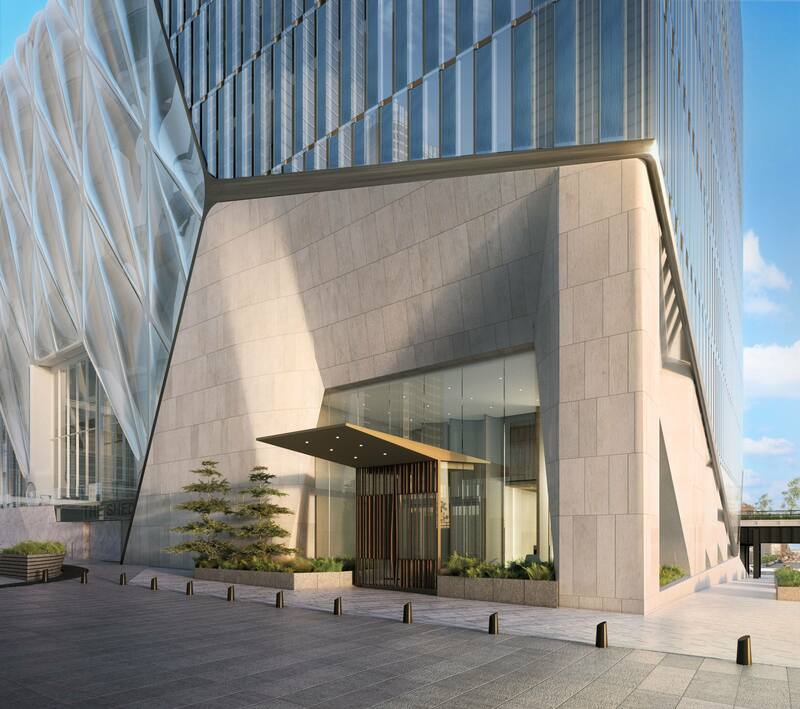 Unlike the glass tower above it, the residential lobby will be stone-clad, also juxtaposing the lattice-work of the Shed. 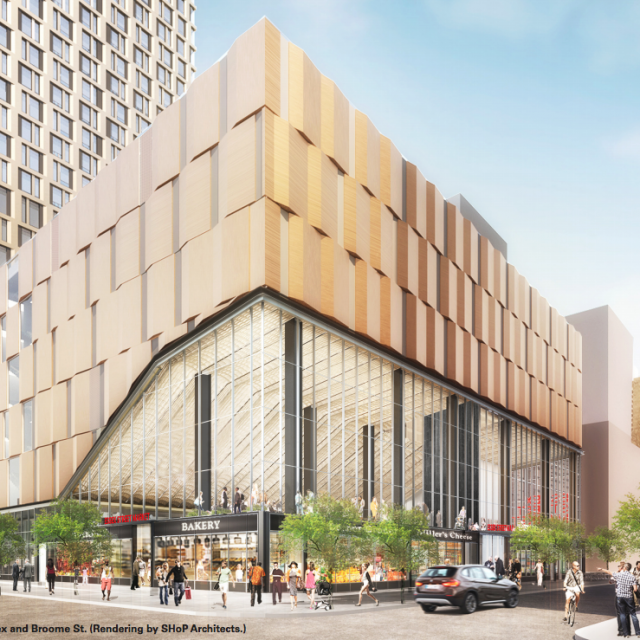 The building will seek LEED Gold accreditation and is scheduled for completion in 2018. 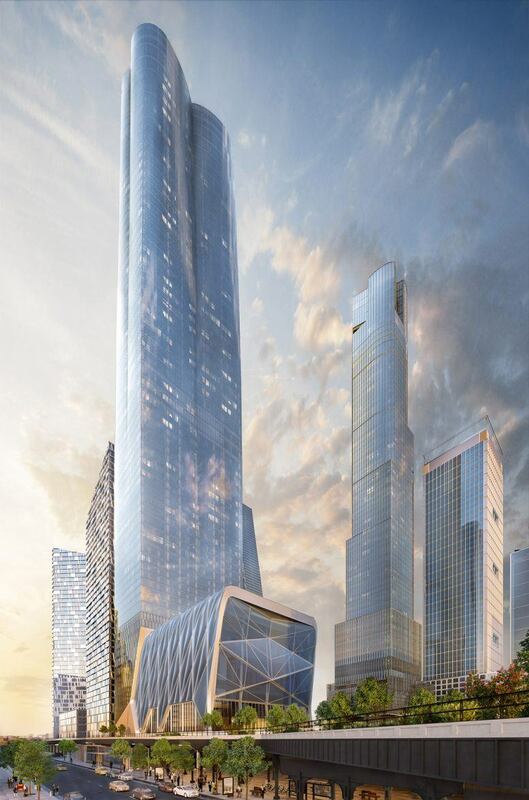 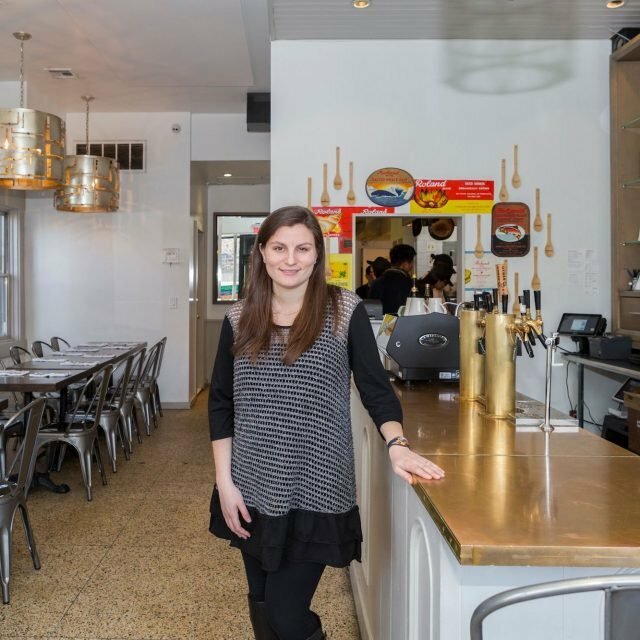 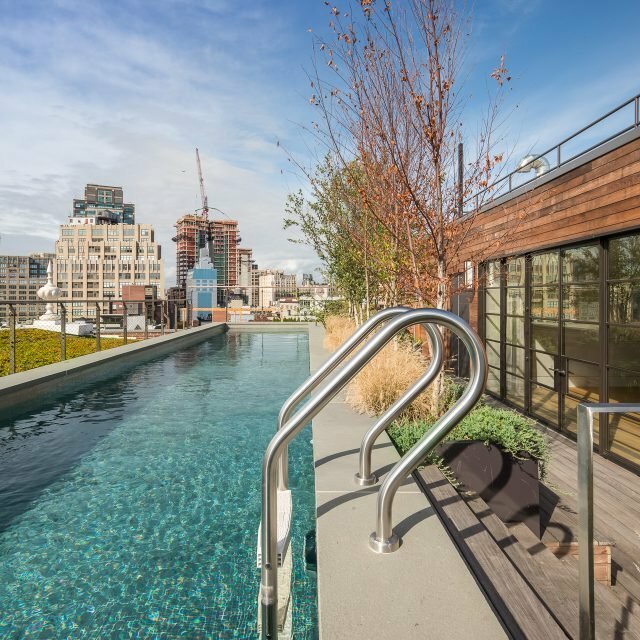 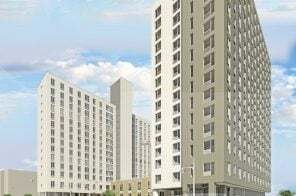 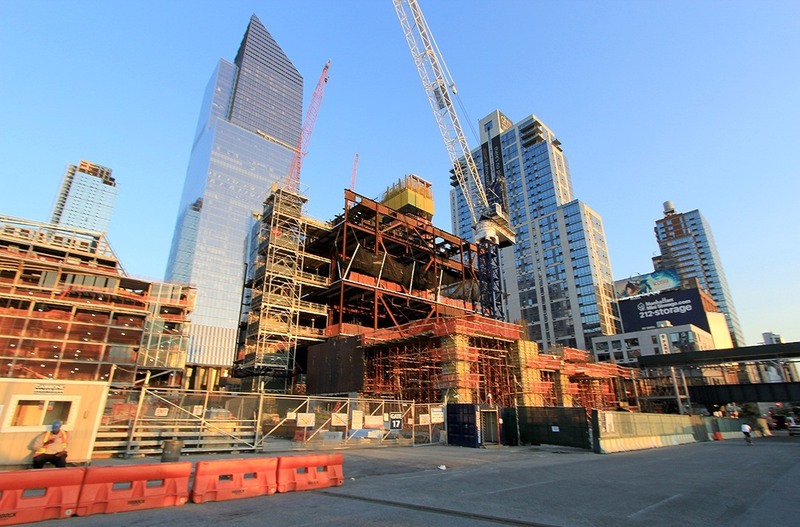 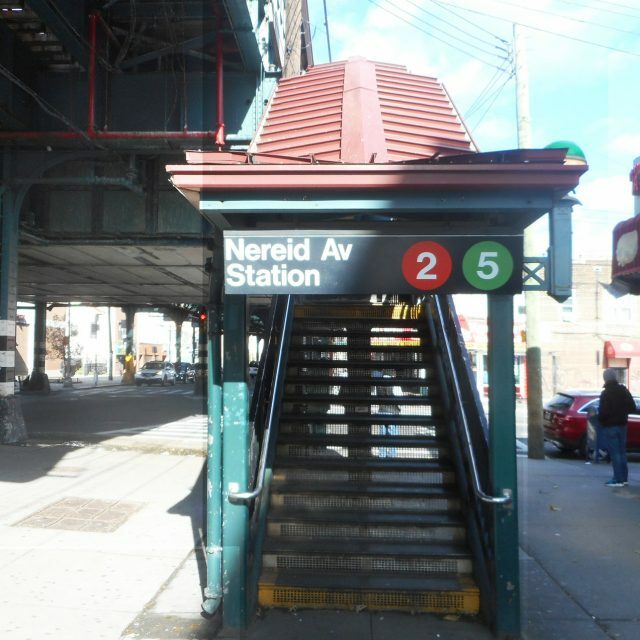 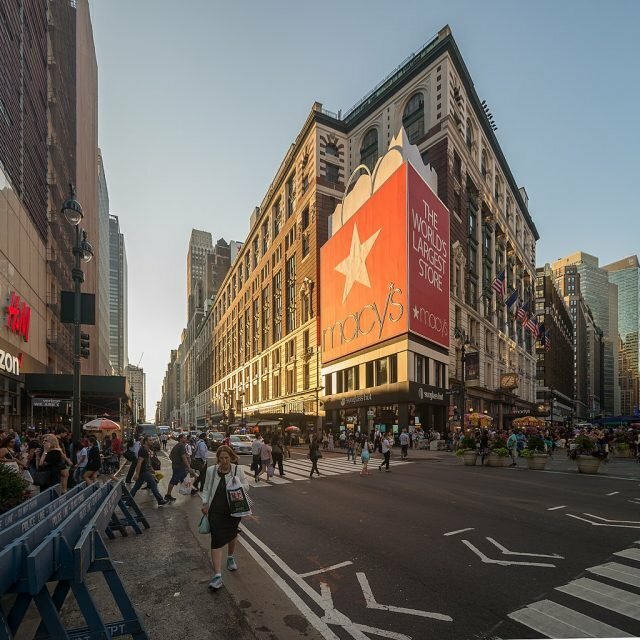 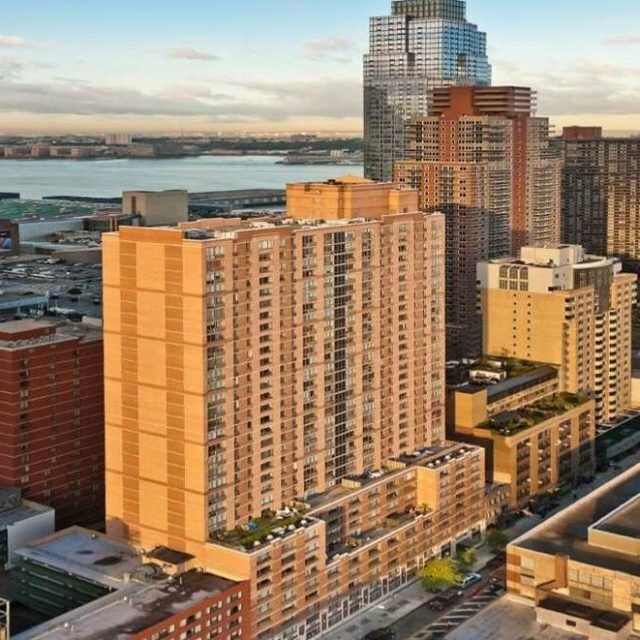 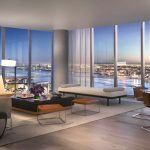 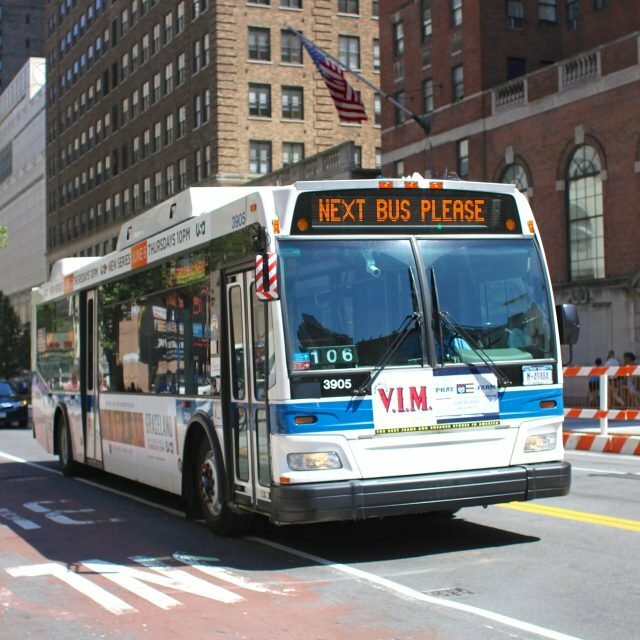 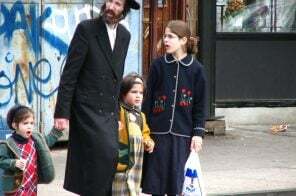 Find listings for 15 Hudson Yards when sales go live at CityRealty.com.